Commonly referred as Cymbopogon martini oil, Palmarosa Oil is derived from the shoot of a particular species of grass that hails from lemon grass family. This grass is also known as rosha grass, Indian geranium and palmarosa. Its shoot is packed with geraniol which is a type of fragrant active compound. Geraniol is widely used to formulate medicines and to produce different items meant for domestic utilization purpose. Palmarosa oil is also used to prepare insect repellent. This aromatic oil contains elements like limonene, linalool, dipentene, geraniol, geranyl acetate and myrcene. The middle note fragrance of this essential oil has strong floral smell that reminds about the smell of rose. Palmarosa oil can be blended with other essential oils like grapefruit, atlas cedar, Melissa, cassia, sandalwood and Basil. Palmarosa Essential Oil is also mentioned as Cymbopogon martini oil. Apart from its application during formulation of perfumes and soaps, Palmarosa Oil is used to kill parasitic worms like nematodes that appear in stored beans and crops. 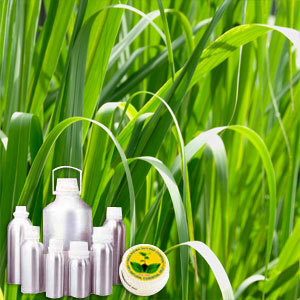 It is also used to produce mosquito and fungus repellant substances. Its geraniol content is instrumental in heightening its fragrance.